Hoar Cross Hall Spa Hotel in Staffordshire is housed in a fully restored mid-Victorian home, set among 50 acres of English countryside, gardens, and woodlands. A turreted stone archway, followed by a tree-lined driveway lead guests to this Grade II-listed property, which features seasonal fine dining, elegant accommodations, and a full-service spa. 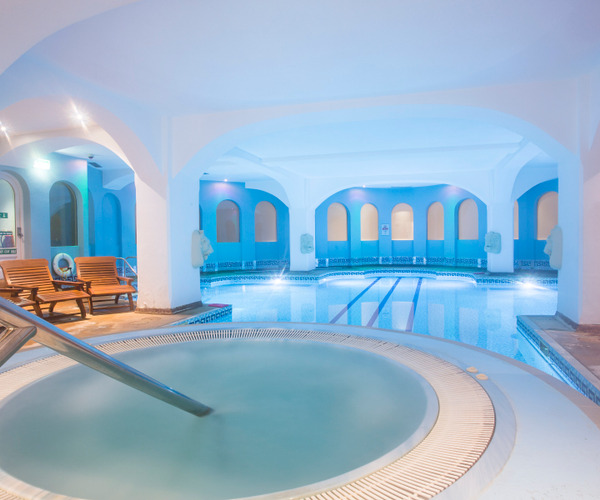 Visitors can set up a schedule of treatments and activities, interspersed with periods of relaxation in the spa’s numerous amenities: showers, a hydrotherapy swimming pool, whirlpools, saunas, and steam rooms. Various athletic activities are available for those seeking a more dynamic experience. The spa at Hoar Cross Hall treats visitors to a comprehensive menu of treatments and facilities aimed at harmonizing body and mind. Before or after a service, spa-goers can take advantage of the many wellness options available, from the hydrotherapy and saltwater vitality pools to the saunas, steam rooms, and saunariums. Spa services utilize luxury product lines like Jessica, Sultane De Saba, Clarins, and Elemis. Hoar Cross Hall Spa Hotel’s 50-acre grounds are speckled with spectacular parkland, gardens, and six lakes, making it an idyllic getaway to relax and renew. A variety of sports activities is available, from golf to tennis to archery, complemented by a full-service gym that offers several classes daily, including spinning, aerobics, dancing, tai chi, personal training, yoga, meditation, and Pilates. The hotel balances its lively pursuits with leisure ones. Two swimming pools encourage refreshing dips, while formal gardens and 30 acres of surrounding woodland invite quiet strolls. Serene, meditative spots found throughout the property such as the Italian Water Garden also provide a place for reflection. Individually designed guest rooms and suites are a seamless blend of old and new, as antique furnishings and paintings pair with flat-screen TVs and unlimited WiFi Internet access. En-suite bathrooms feature spa products. 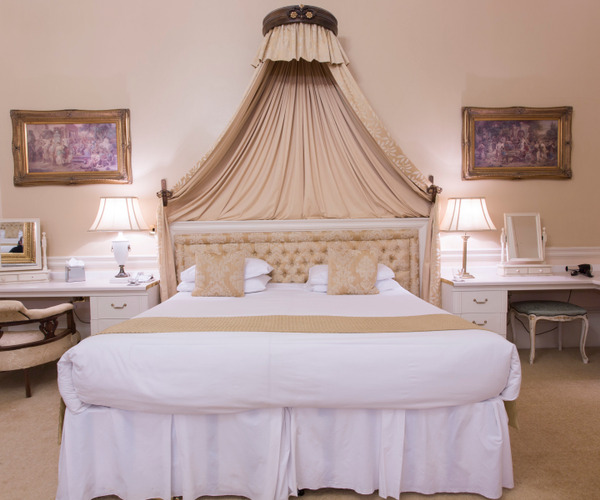 A majority of rooms come with king-size beds and splendid views of the hotel’s formal gardens and the surrounding woodland. A lavish breakfast buffet is served each morning and two cafés are available for light lunches. Decadent dinners take place in the extravagantly ornate ballroom, where guests can marvel at its wood paneling, Sienna marble mantelpieces, and sparkling chandeliers during meals. Seasonal cuisine spotlights the local artisanal cheeses, fresh produce, fine meats, and fish that Staffordshire has on offer. On-property Victorian greenhouses and herb gardens are also the source for much of the produce found in dishes.